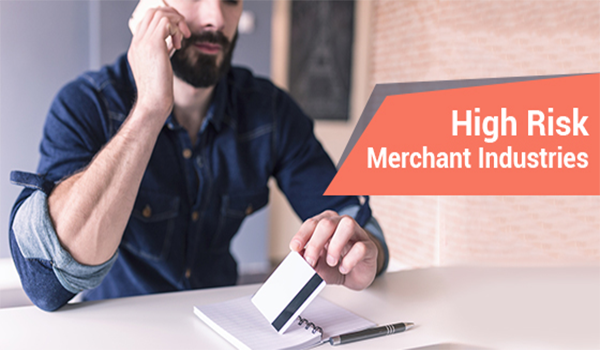 Not all merchant account services are created equal, unfortunately. Many merchant services providers will charge more, and impose different terms and restrictions on businesses operating in industries that they consider to be high risk. These could be industries where the threat of legal action is more pronounced, where the law tightly controls and regulates the industry or where volatile markets make it hard to predict business and delivery of receivables on a day-to-day basis. Below are five industries that are almost always considered high risk merchants. Gaming. Compared to other business models, gaming presents a higher risk to the underwriter, which is why businesses in this industry are generally considered higher risk than many others. Gaming has a high volume turnover, which is considered a big risk factor by banks and merchant account providers who give them a credit line. Adult entertainment. The reason that adult entertainment is considered a high risk for merchant services providers is because many of them are subscription-based services, which require that the customer pays on a minute-by-minute basis. They also, like gaming, process a large number of transactions and generally have little to no credit card processing history. Online poker. The main issue with online poker, from a bank’s point of view, is the high turnover. There have also been many occasions in which online poker sites and rooms have been used to launder money because many of them are located offshore and are subject to less scrutiny than they would be if they were based on the North American mainland. Online poker also has a high potential for chargebacks, which is another factor that banks and merchant services providers consider when assigning risk. Sports betting. As with other forms of online gambling, the risks associated with a sports betting company, from the perspective of a merchant services provider, comes down, once again, to the turnover, the potential for chargebacks and the reputation that the industry has for illegal activity such as money laundering. High risk merchant accounts, however, are not an indictment of the person or people running the business. Many responsible and trustworthy business owners operating in the aforementioned industries intend on doing fair business. But merchant services providers must take measures to protect themselves and their own business interests. This means that companies that operate gambling or adult entertainment sites must be willing to accept the fact that what they are doing carries with it considerable risk for the people underwriting it and providing lines of credit.